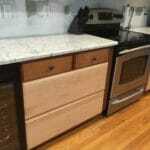 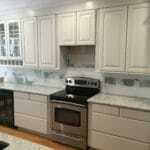 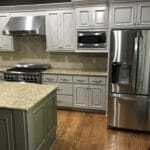 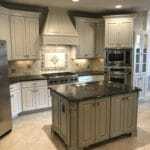 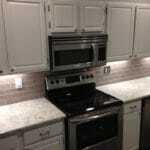 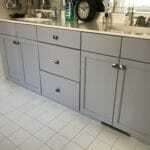 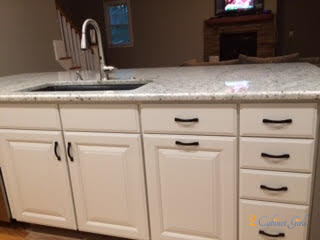 This customer chose a color that would blend in with their granite yet make it stand out too. 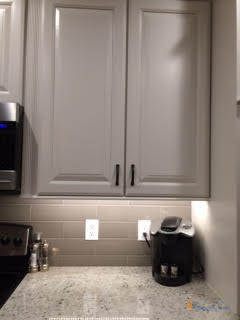 Benjamin Moore’s Classic Gray is a soft white that pulls in the gray and green tones too. 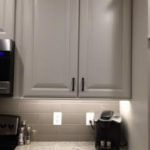 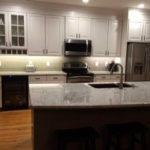 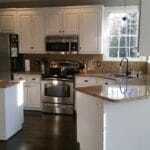 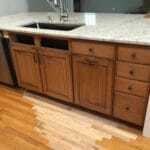 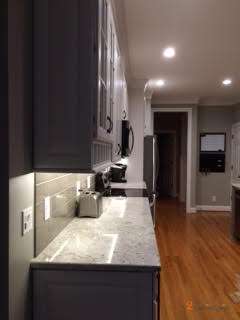 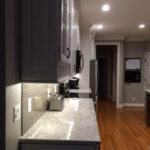 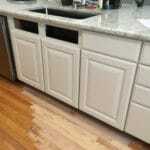 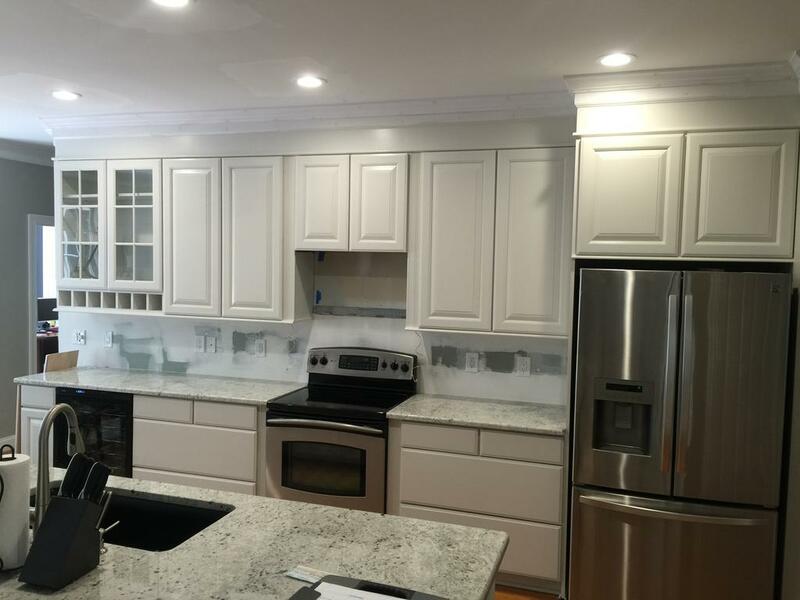 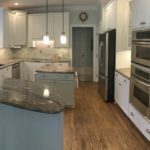 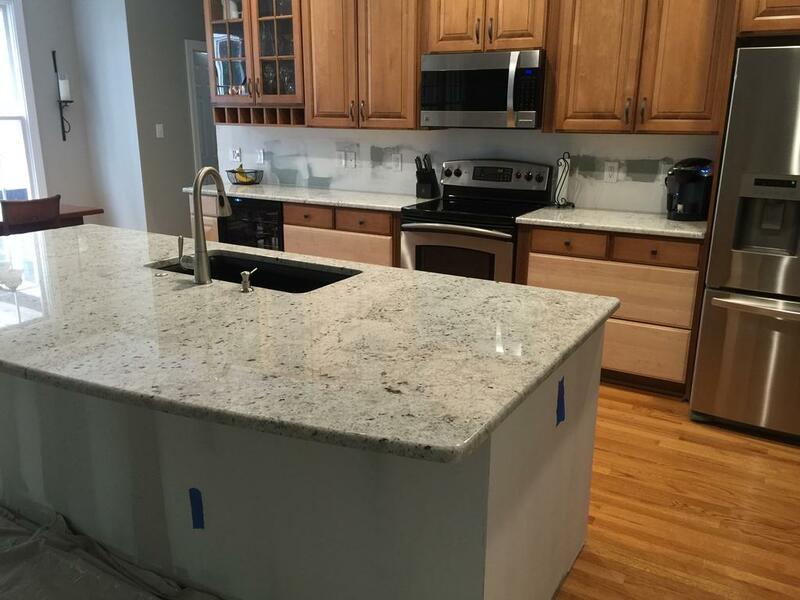 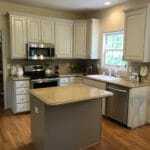 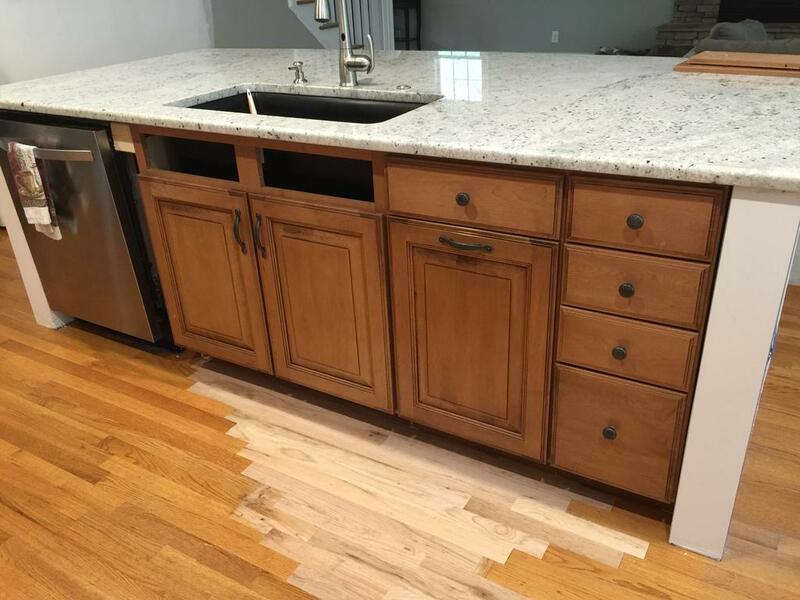 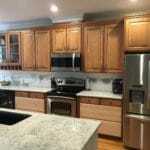 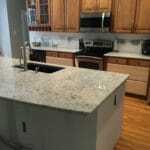 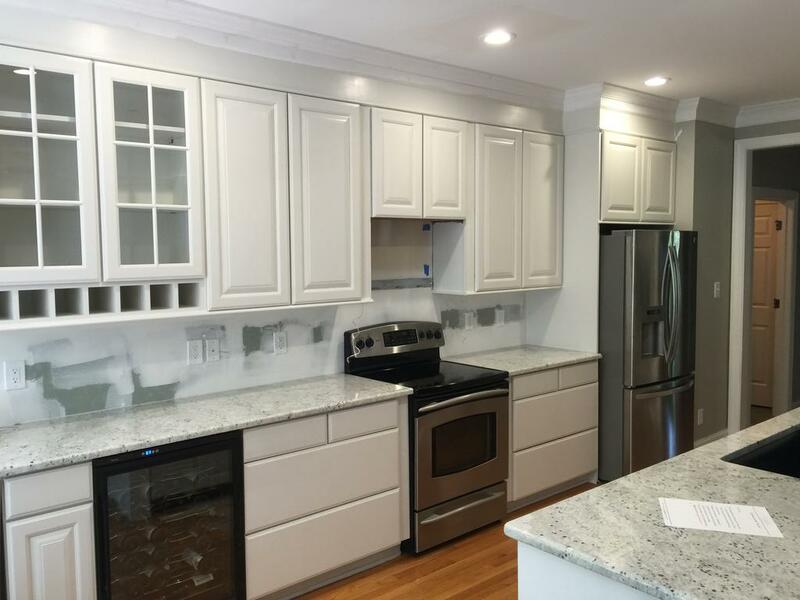 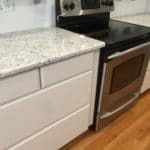 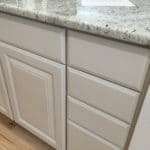 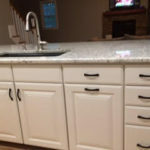 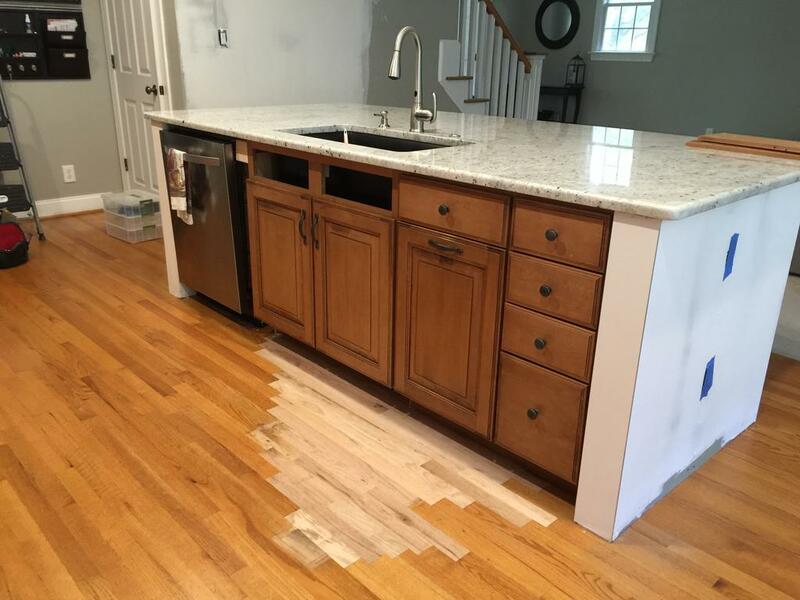 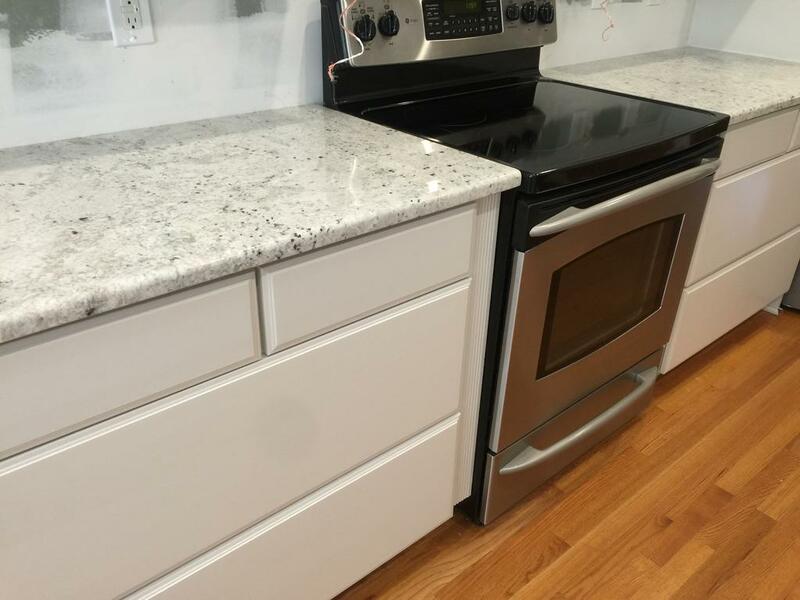 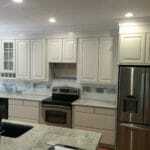 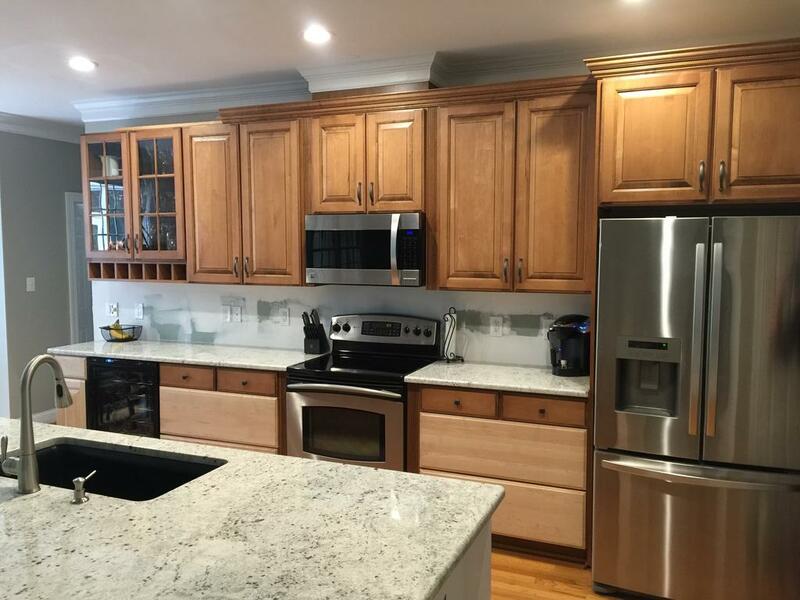 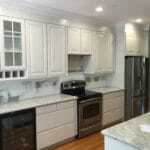 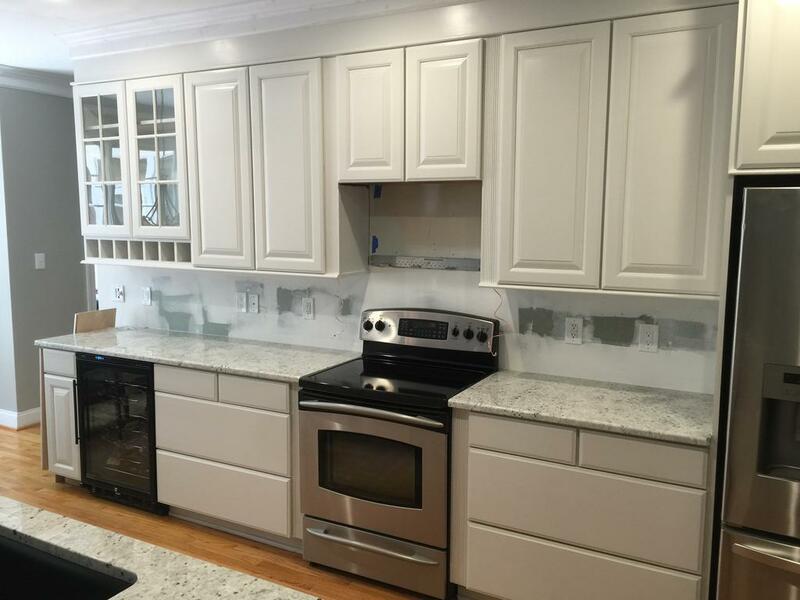 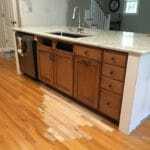 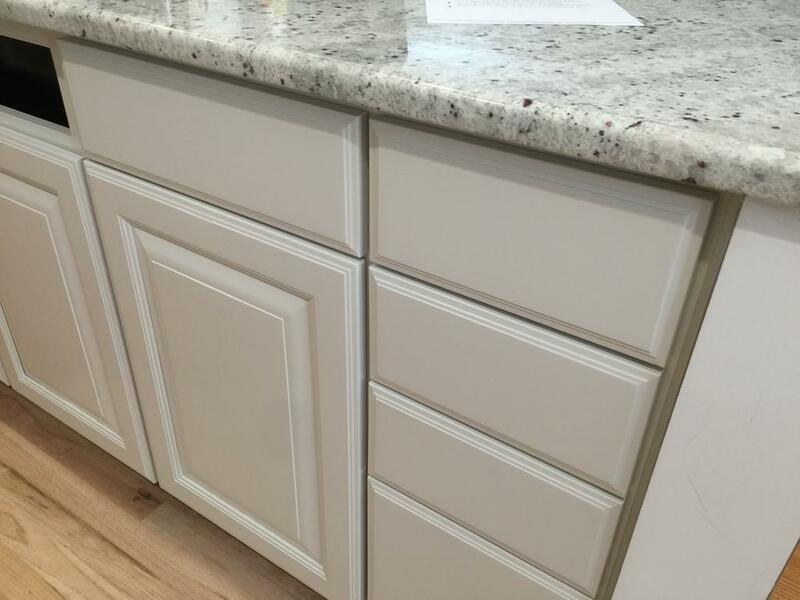 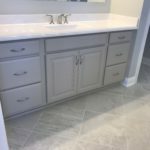 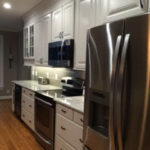 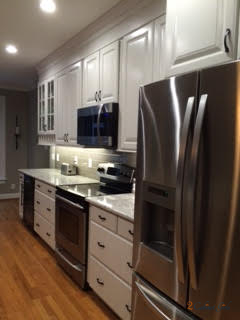 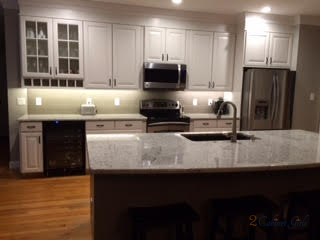 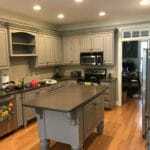 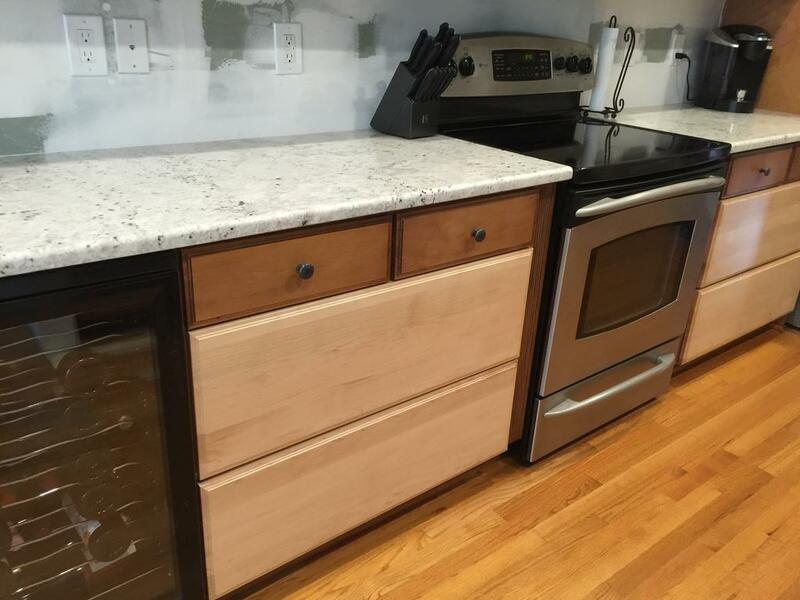 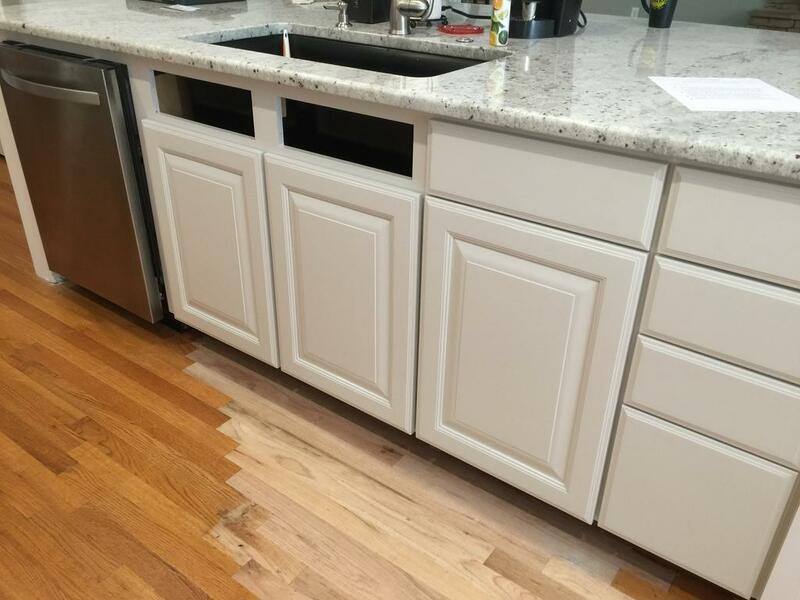 The homeowners are still completing their renovation and once they get the backsplash installed and cabinet handles on we’ll update with additional photo’s.